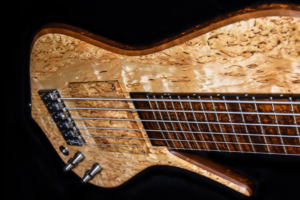 I’m always floored by Tuli Basses, and builder Aron Bach made my day by sending me the details of his latest HIILYX bass. 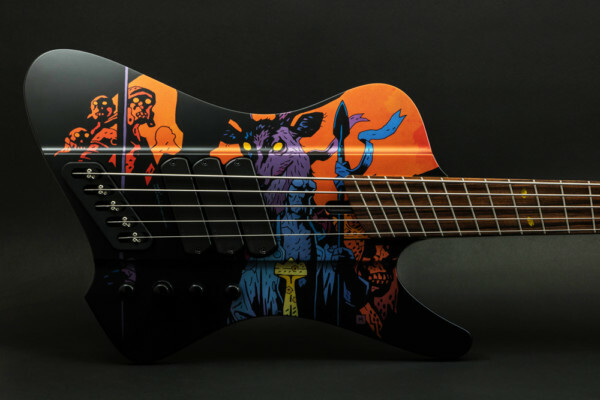 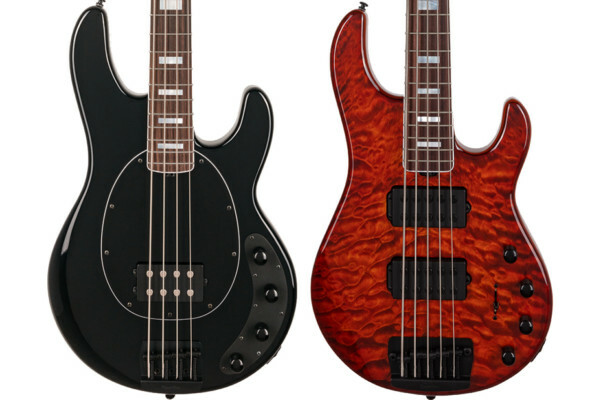 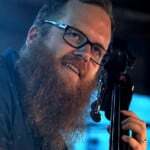 The six-string bass is the new single cut model that he revealed at the 2018 London Bass Guitar Show. 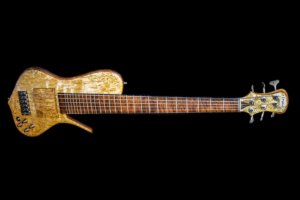 Even with six strings and a single cut body, the HIILYX comes in lighter than many four-strings. “I didn’t really plan on it being so light but I ended up building a 6-string single cut that weighs only 3.3 kg or 7.3lbs,” Bach said. 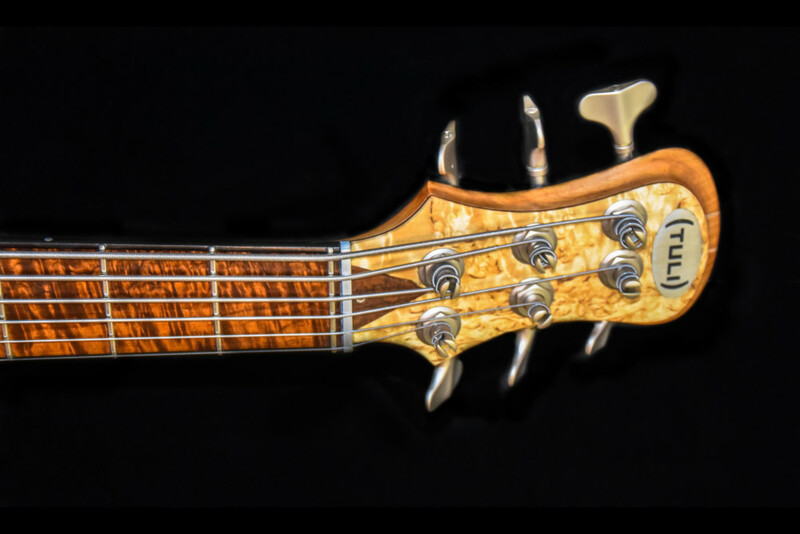 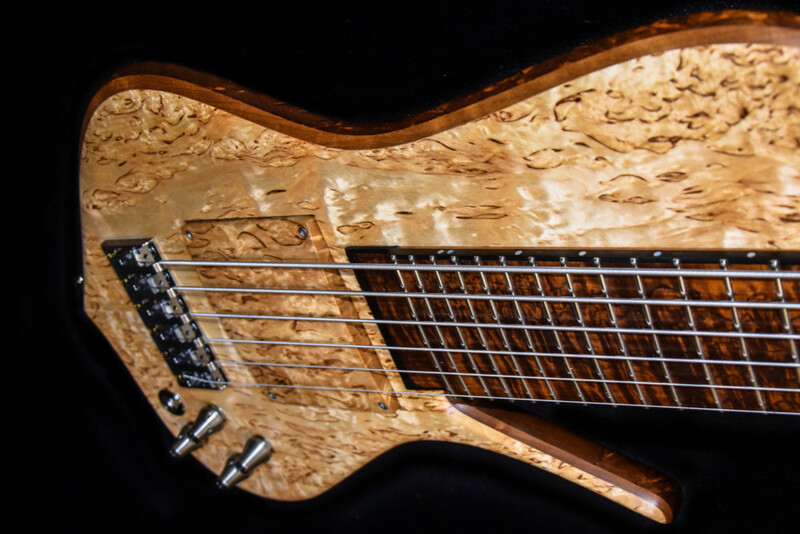 The stunning bass features Tuli’s signature use of Finnish birch for all the wood components. 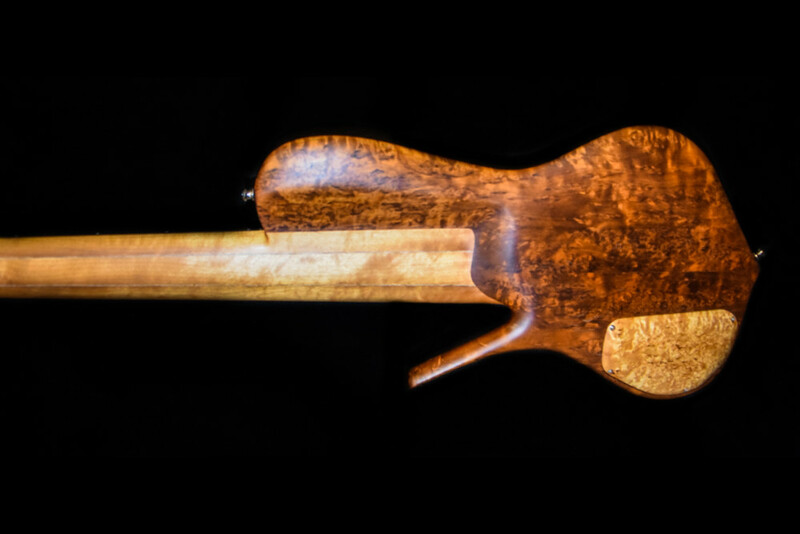 The body wings are thermotreated Masur birch, the top is Masur birch, and the neck is a nine-piece laminate of thermotreated Arctic flamed birch. Similarly, the fretboard is a 30-year-old piece of thermotreated Arctic flamed birch. 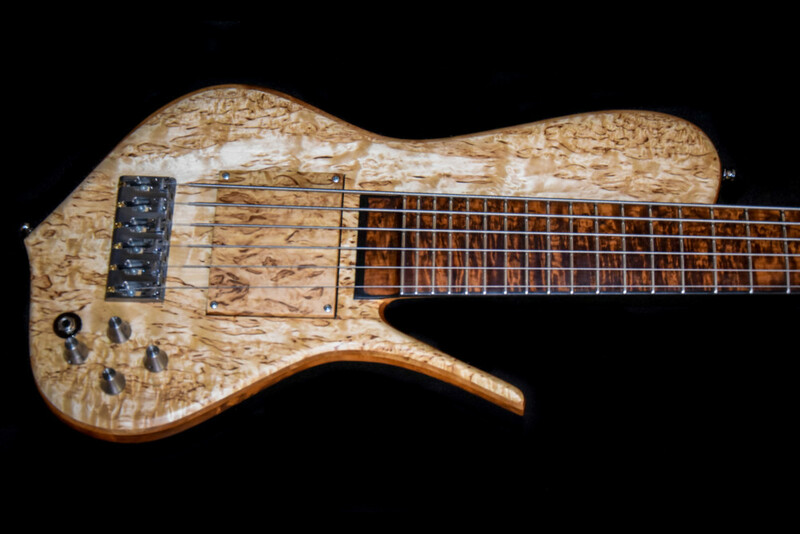 For electronics, Bach fits the HIILYX with Nordstrand Big Splits pickups and an Andreas Richter 3-band parametric EQ. 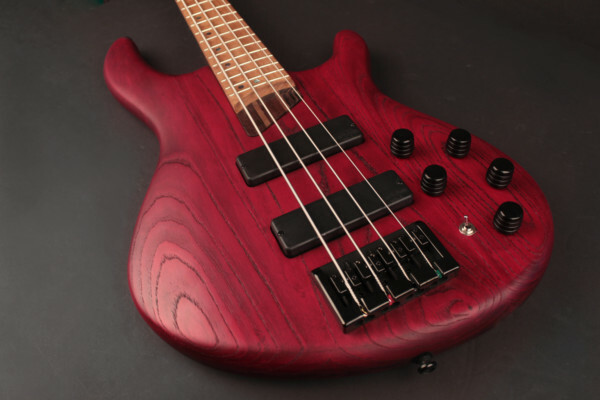 The bass’s bridge, knobs, and nut are all crafted from titanium.